Absolutely, a wonderful looking aircraft. Much better looking than a standard Meteor T7, and maybe better than a standard F8 too. Not only does the real thing still exist at the Cosford Museum, but Special Hobby do it as a kit, and excellent it is too. You've now got me thinking about what a Sea Vixen would like with a twin place cockpit rather then the coal hole it had. Jon I've always liked those Gloster single seat projects ever since I first saw them in Putnams. The two-seat 1st gen Harrier is NOT better-looking than the single-seater: the canopy looks nice, but the goofy fin and tail spike spoil it for me. F-9F Cougar: the two-seater DOES look better than the single-seater. There's nothing wrong with the single, it's just that the twin is so damned pretty. The Skyhawk I would say is neutral: both versions look good for different reasons. Agree a good approach, but it is uglier- and thus my nomination in this thread. Agree. 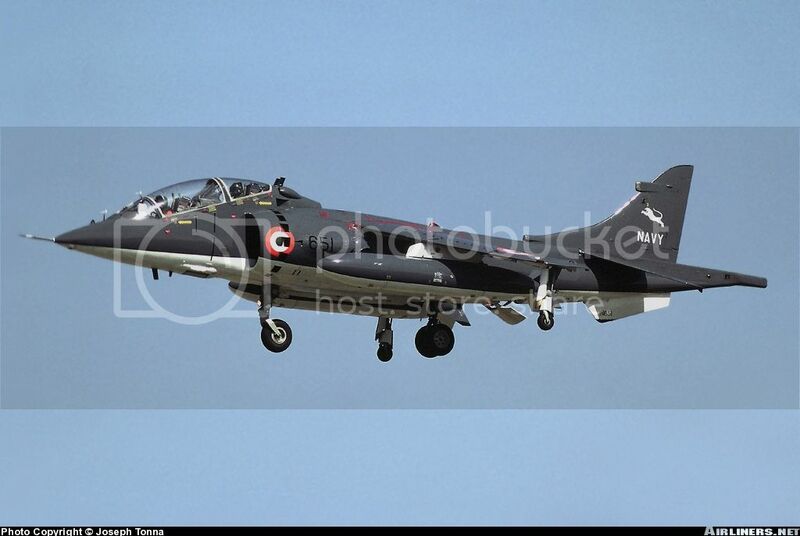 The all black T-8's, and G-VTOL especially in a few schemes looked good as well. The laser nose on the gr3 and t4 made them the ugliest of the family. I much prefer the looks of the later Harrier T10/TAV-8B to the equivalent single seaters, something to do with the balance of the fin and canopy maybe. It really depends on the design, and sometimes further modifications made later on improve the look. The latest F-16s, for example, with the big spines and CFTs look much better than the earlier smooth B/Ds. I think a big spine would massively improve the look of the two-seater Typhoon, too. A tandem two-seat Hunter would probably be quite attractive, though. And yet the F-111 and the A-6 were both two seaters and not branded hideous as well!